Well first, a great hurrah for taking Mochi! But time for a reminder lesson -- the line there that goes "Hoomin you're great .." - well I think that is probably a good example of SUTTH ... and most likely seen amongst rabbits as a sign of wise behavior. Amongst we hoomins, SUTTR is often seen as a sign of loss of sense of self - or something like that? My thoughts, too, Jen. 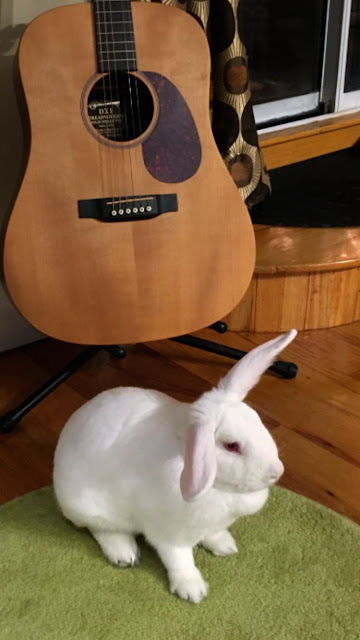 Looking forward to the NYT best seller - "From Musical Instrument to Bunny Toy: One Guitar's Story."